My family did a lot of camping in East Africa when my kids were young… camping with no facilities except what we did for ourselves. This included giving a spade to our kids and telling them to dig, relieve themselves, then cover it up – the no latrine option. On one trip to watch rally car teams race around off-track, fundraising for rhino preservation, my ten year old daughter was fascinated to observe different camping arrangements. She came back to our camp site and complained, “Why can’t we do luxury camping?” “What is that?” I asked, genuinely puzzled what she could have seen amongst a bunch of rally car drivers and fans in the Kenya outback. 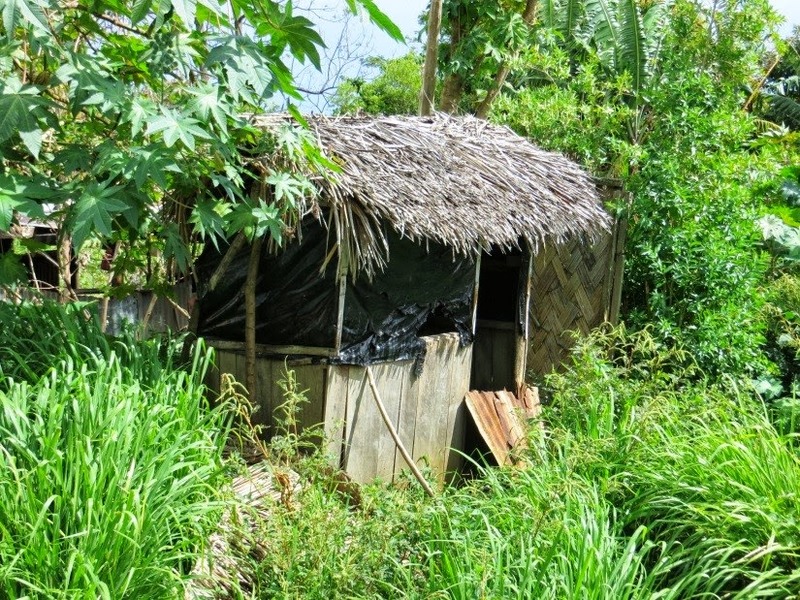 “A latrine with canvas walls and a pot to sit on,” came the answer. She defined luxury in terms other people would find basic. I was reminded of this story when I visited a range of different styles of latrines being built on Tanna Island Province, in Vanuatu. I saw luxury latrines at a school: a concrete building with six doors behind which are toilets with water flush cisterns – but there was no water to flush them so they were locked up and the students were using plain old latrines with broken doors and ripped plastic windows. It is better to be pragmatic, I think, and build what you know you can maintain. 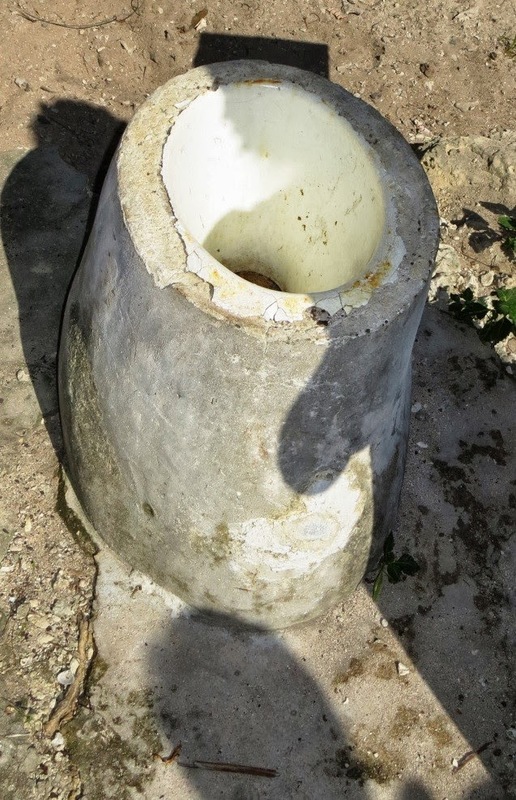 In a village that UNICEF is assisting with water, sanitation and hygiene improvements, I saw a ventilated improved pit latrine (that kind of VIP – not Very Important Person, which even included a concrete stool and plastic seat set in a concrete slab and supporting column. (Note for latrine gurus – I realize this is not the standard VIP model with ventilation pipe and screen). Come to think of it, maybe it was for the village VIP chief. No door on it yet – the owner claimed. “ I will put a door when the concrete dries, “ but I suspect he likes showing it off better than using it. Status symbol!! It might be more practical than the more expensive concrete blocks with the flush system at the school, but considering the per capital incomes of the villagers, it is still relatively expensive at about USD 80 per person, requires purchase and trucking of imported concrete and ceramic (so also not carbon friendly). And no latrine lasts many years, depending of course on the number of people using it. On television I have seen USD 8000 toilets in the homes of the rich and famous, but we are looking for sensible solutions, and defining luxury the way my ten year old camper did. I also worry that it will be too much effort for people to move and all the concrete will break – I saw an abandoned concrete and porcelain stool in another village, in another country, last month. Hazardous for little children, too. Plenty of research stands behind VIP latrines, and I particularly appreciate the screened ventilation part, because no one likes a smelly toilet that is full of flies. 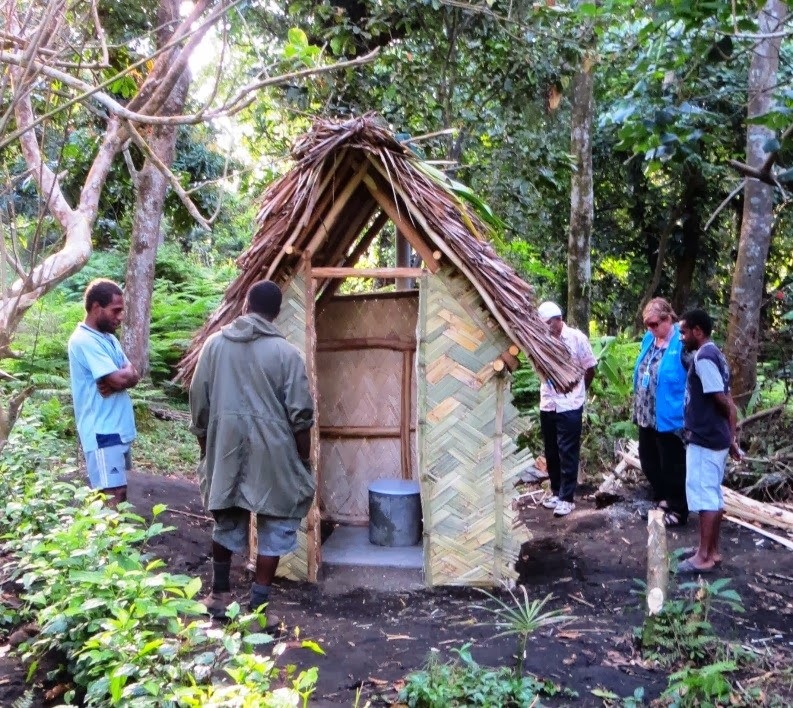 In Tanna I did find (and use) some screened ventilated pit latrines, built with all local materials, even the slab. I feel more confident about this model, that when it gets full, it will be sealed, and at relatively little cost, a new one will be made. 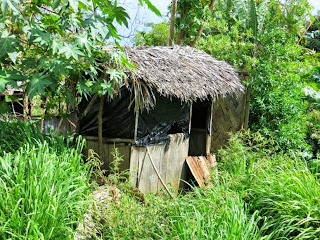 Yet, it is a big step up from no latrine, and from plain old latrine. One last note on sanitation in Tanna – the active volcano on the island means there is no shortage of ash to pour into the pit! Of course, it is not my call. Our approach is to tell people in each community what are the options, and let them explore different approaches and costs. Increasing demand for slabs – whether concrete, plastic or wood- is good for stimulating local markets and income, too. I talked with the two young men whom UNICEF has trained to mobilise their village on “Community Led Total Sanitation.” They were totally enraptured by the luxury latrine with the concrete slab and stool. They showed me where they have formed another one and are waiting for it to dry. “Everyone will want this model because it is the best,” they said. Older, wiser household budget managers in the village may think differently, but the important thing is they know about the options, have the designs and are empowered to make their choice happen. Luxury latrines, VIP latrines, plain old latrines – all are better for the health of children than no latrine. My daughter would be happy, too.